Damalistik CEO, Selecta, MC and Producer Of Roots Survival Sound & Records started his affair with Jamaican music in the mid 90s playing reggae music at clubs and other venues all around Toulouse, France. In 2000 he and bunch of his friends started The Roots Survival Sound spreading message of love and understanding and also cutting exclusives dubplates and organizing dancehall parties. Since then Damalistik tirelessly plays almost every week not only in his native France, but also in numerous European countries and his tour list includes countries like Germany, Sweden, Finland, Poland, United Kingdom, Slovakia, Czech Republic , Greece, Austria and others. He also made several trips across the sea and played in Gambia, Cuba and the reggaeland Jamaica. Roots Survival spins every kind of Jamaican music from rocksteady through roots to modern dancehall and peppers his selection with hints of hip hop and exclusive tunes. Damalistik is always ready to kill a crowd with his energy, good vibes and music selection. During his career Damalistik has shared stage with biggest names of reggae and dancehall like Sizzla, Capleton, Buju Banton, Tarrus Riley, Konshens and I-Octane to name a few. He´s been involved in organizing reggae and dancehall shows and festival in the Czech Republic and Slovakia. 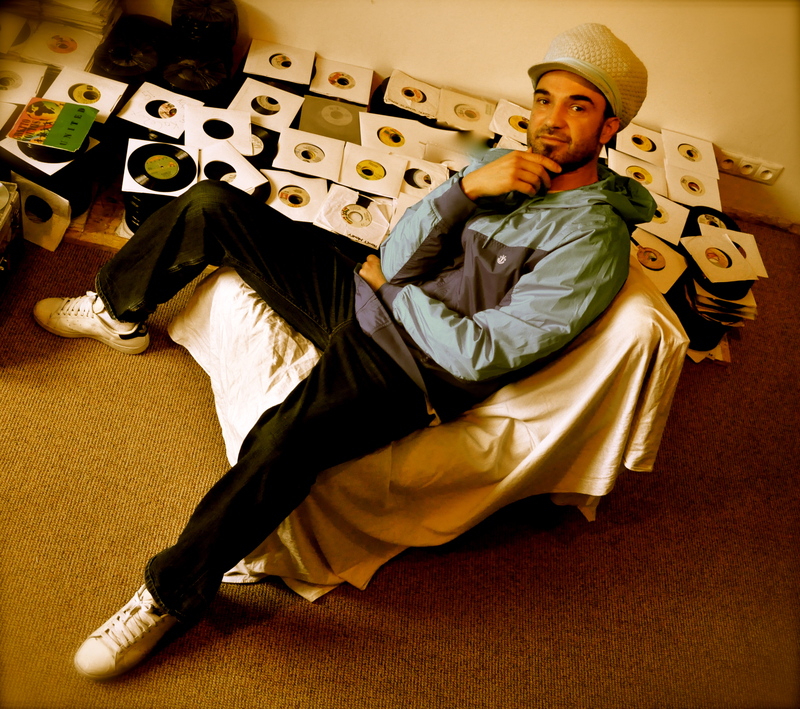 Since 2005 he has worked with some of the hottest names of the UK reggae scene like Daddy Freddy, General Levy,Deadly Hunta, YT, Bongo Chilli, Robert Lee, Solo Banton, Big Famili and together they performed on countless stages all around central and eastern Europe with Damalistik being ´at the control´. A real ´world citizen´ Damalistik draws inspiration from his three homes – Paris, Marseille and Prague with the latter being his most important base. Roots Survival helps to spread the gospel of reggae and promotes events in the whole Czech Republic. He also set up his own studio and work there as a recording engineer. Damalistik recently put his fingers on work of Prague based international band United Flavour and sensational polish trio East West Rockers, helping both acts to achieve a level of international notoriety. Roots Survival is not only Damalistik´s alter ego, but also a label of the same name. Year 2009 saw release of his first one riddim album named Ras´In with stellar performances from well established Jamaican voices like Turbulence, Norris Man, Polyfamous and Jaggy D, Big Famili and Jahmali, whose haunting ´Serious Question´ became an ultimate crowd pleaser. One year later Roots Survival team up with Djei Gogo , bass player and producer and they came up with another mighty riddim named ´Protection´. Unlike it´s strictly one drop reggae predecessor, Protection fuses Jamaican music with elements of hip hop to form a so call ´Island Pop´ vibe. No matter of the style, the music is top notch and wide range of artists like Polyfamous and Gyptian, Mr Williams, Konshens, Lutan Fyah, YT and Deadly Hunta delivers heartical performances. Damalistik also tried another trade and directed and cut his first musical video for Deadly Hunta´s poignant tale ´It´s a Phenomenon´. Roots Survival is currently busy promoting his newest riddim named World Citizen. He already scored chart hits with songs from up-and-coming Jamaican lions I-Octane and Konshens. Especially Konshens and the music video for his song World Citizen received a lot of critical acclaim and ecstatic reviews all across the Globe , and even get played on MTV or Trace TV. By the way , Konshens himself choose the song to be the first one when u play his first album. Damalistik will never cease working, so if you don´t spot him on stage, be sure he´s at his studio recording some new stuff or preparing new mixtape!